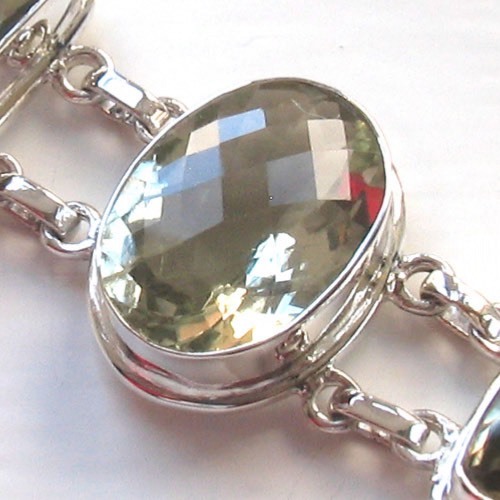 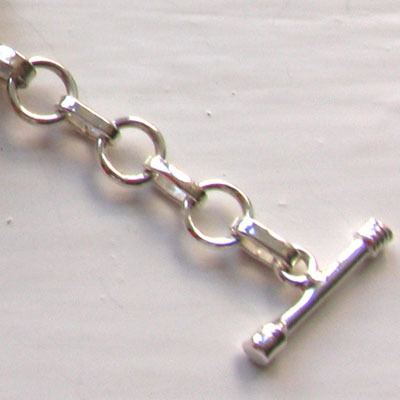 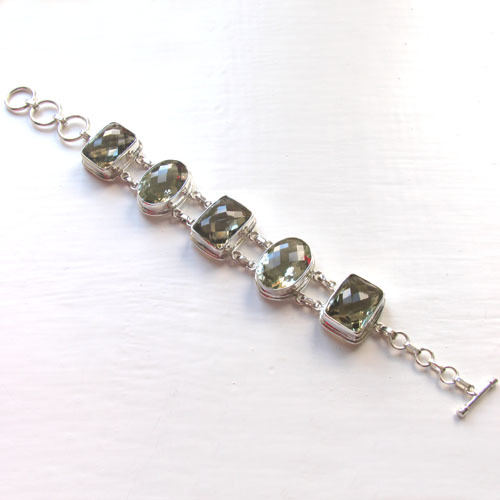 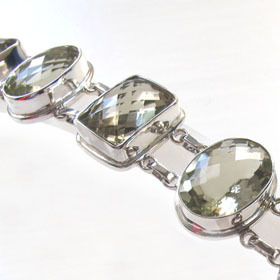 Green amethyst bracelet in sterling silver. 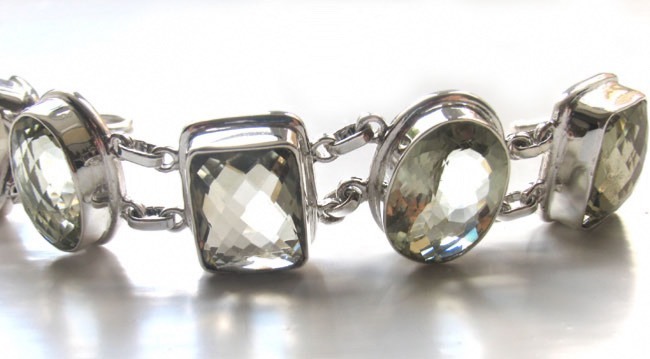 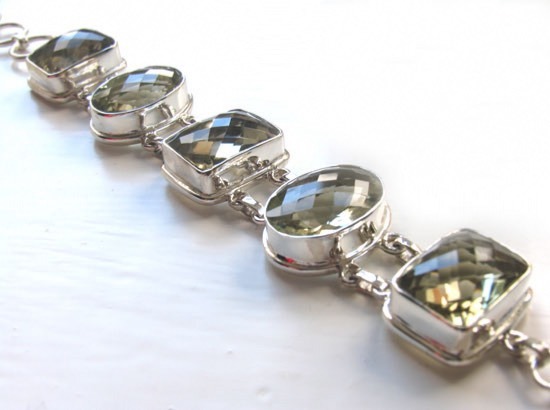 This stunning green amethyst bracelet is a chunky style featuring 5 large green amethyst gemstones. 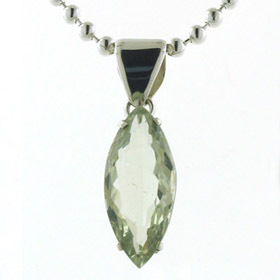 Each amethyst is cushion checker cut and has many diamond shaped facets across the surface. 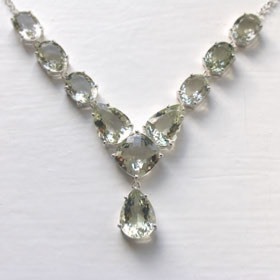 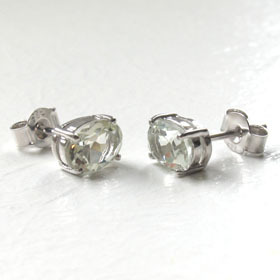 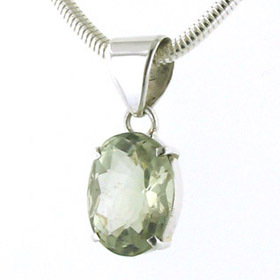 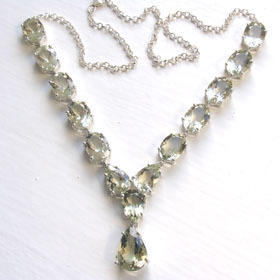 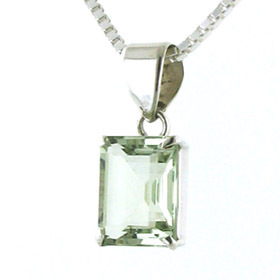 The green amethyst is a fabulous delicate shade of green and sparkles as it catches the light. 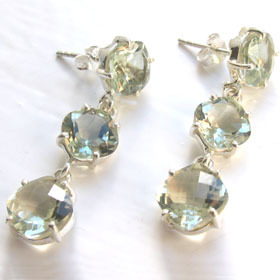 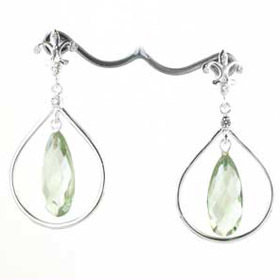 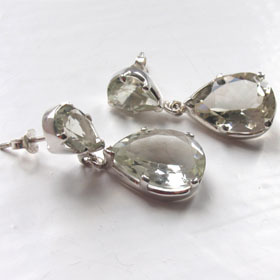 Choose some green amethyst earrings and a green amethyst pendant to make a set.